Two games, two wins. That’s the story for the Vancouver Whitecaps as they’ve started the season better than anyone expected. 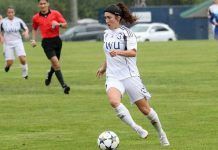 After a record number of off-season moves, the Whitecaps came into this season unsure of how they may perform from the start. Headlining their 12 acquisitions was experienced MLS striker Kei Kamara who came to the club after two unsettling years in New England. Although 12 players came in for this season, it meant the departures of fan favourites and MLS veterans. All-Star goalkeeper David Ousted left for DC United (January 8th) and a forced trade by centre- back Tim Parker back home to New York. Those two departures were only a couple of the ten players who left the west coast after the 2017 season. With all the doubts, the Whitecaps debuted at home donning their new Unity jerseys against a Montreal Impact side who also had gone under some re-tooling through the off-season with the match played in front of a record crowd of 27,500 that watched the home team strolled to a 2-1 victory. One of the many positive takeaways from the match was 17 year old Alphonso Davies’ man of the match performance. The Canadian youngster kicked off his year with a world class assist on Kei Kamara’s opening goal, and added to that with his first MLS goal which sealed the win for Vancouver. After being urged by manager Carl Robinson to be more productive, Davies demonstrated how he can already control the match at such a young age. The Whitecaps backline continued to look solid, despite the departure of Parker. Aaron Maund filled in for absent Parker and put in a good shift alongside Captain Kendall Waston. While the first game gave clues of what Davies can offer, and who the 2018 Whitecaps could be; there remained many questions to be answered as the season progresses. Vancouver’s second game didn’t give much in the way of answers or improvement. Although the end score again was a 2-1 victory for the Cap’s; the performance was one to be forgotten. The attack; filled with offensive talent was lackluster and failed to control the ball for extended periods of time, causing the away side to finish with 32% possession. A worrying number for any club? The Whitecaps hit a hiccup early, when left back Marcel de Jong had to leave the game due to a breathing issue. This forced Robinson into an early substitution, and left the Whitecaps short in their one position which lacks depth. American winger Brek Shea was brought on for the injured de Jong, and settled in on the left wing while Alphonso Davies shifted to left back for the remainder of the game. Davies; traditionally a winger, was played at left back against expansion side LAFC in pre-season and did not look out of place. Robinson hoped that Davies would join the attack as he did against LAFC, as well as stay sound defensively. 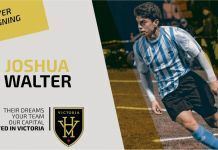 His speed and agility took Houston’s Alberth Ellis by surprise, as the Honduran winger failed to get by Davies throughout the match. Ellis shifted wings to find a better match-up against a slower defender in Jake Nerwinski, and his choice barred its rewards in the 39th minute when he found the back of the net to tie the game at 1 heading into half time. Davies was able to join the attack from the defense on many occasions, with the first of which being when Kamara was stranded up the park, Davies sprinted from seemingly nowhere to support his teammate. The speed and attacking sense the young Canadian possessed when coming from the back caught Houston off guard, leading to multiple Whitecaps counter attacks. As Davies enjoyed success on the defensive side of the ball, substitute Brek Shea found his home on the wing. The 6’3” winger used his physicality to bully opponents into turnovers, and used his long legs to propel him past defenders on the attack. In the 49th minute, Shea completed a give and go with Kamara which sprung him alone on goal where he netted the Whitecaps game winner with a classy finish past Dynamo net minder Tyler Derric. The forced first half substitute lead the Whitecaps to their second straight win to open the season for the first time since 2012. De Jong was sent to hospital after the incident and spent the night there for precautionary reasons but was released in the morning and flew home with the team; it is still unknown as to if or how long he will be out for. Through their first two games, the Whitecaps have failed to have the majority of possession. Much like last year; Robinson’s side has found ways to win without the ball. Whether there will be a tactical change as the season progresses, or a personnel change as newcomers settle in, fans will have to wait and see what this season has in store. Even though they’ve won their first two games; the Whitecaps will face their toughest test yet when they travel to Atlanta for the first time in their MLS history. Atlanta has set multiple attendance records during its short tenure in the league; just recently breaking their own record in their home opening win against D.C. United. This match saw 72,000 were in attendance for United’s 3-1 win, and numbers are on pace to be similar for the Whitecaps match. After falling to Houston 4-0 on opening day, Atlanta rebounded in their home opener with a win against a D.C side that boasted former winger Yamil Asad, as well as ex-Whitecap goalkeeper David Ousted. Current Atlanta and former Barcelona manager Tata Martino has faced counter attacking sides like Vancouver before and will be well prepared for what Robinson’s men have to offer. Vancouver can’t expect to have much of the ball in the match, and provided that they aren’t built for that; it could be beneficial. The Whitecaps have one of the league’s best counter attacks, and they could take advantage of Atlanta’s backline which lacks the speed to keep up with Vancouver’s attacking talents. Alphonso Davies has played a large role for the Whitecaps so far this year, and will without doubt continue to do so. Aaron Maund has seemed to solidify his position in the backline alongside Waston in the first two games and will hope to hold onto that spot in the near future. It’s good so far – on paper- for the ‘Caps but without the ball, is it sustainable? Only time will tell.